The leaves change color, the weather cools down, everything is pumpkin-spiced flavored – what's not to love about Fall? It may be a little while before the weather really starts to cool down here in Austin, but Fall is a good time to take care of projects around your home before the shorter days make doing outdoor chores too difficult. Check these items off your list this Fall, and you can rest easy, enjoying your pumpkin spice latte knowing that your home and yard are ready for the change in seasons. 1. Care for trees and shrubs. If you have trees on your property, consider hiring an arborist to care for them — these pros can spot signs of poor health early on to prevent tree loss, and know how to prune properly to avoid falling limbs in winter storms. Leaves look beautiful blanketing the ground, but leaving too many leaves on a lawn over winter in a snowy area can inhibit spring growth. To make the job easier, choose a lightweight rake, wear gloves to protect your hands and use handheld “leaf scoops” to bag leaves quickly. Take a walk around your property, looking for signs of damage to the roof, siding and foundation. If you spot anything that needs repair, schedule it before winter weather hits. 4. Seal gaps where critters could enter. Mice need only a tiny gap to be able to sneak into your house and raid your pantry — and with colder weather coming, all of the little critters out there will be looking for warm places to make a home. Fill small holes and cover any larger gaps securely with heavy-duty hardware cloth to keep the wildlife outdoors. When the landscape is covered in ice and snow, just walking from the driveway to the front door can be quite a challenge. Lint buildup in dryer vents can make your dryer work less efficiently and even cause a fire — cool, dry fall weather increases static electricity, which can ignite lint that has built up, so now is a key time to get that lint out. You can hire a duct cleaning specialist to clean the vents for you, or clean the vent yourself. 10. Schedule a chimney cleaning and heating system maintenance. Making sure your chimney and furnace or boiler are cleaned, maintained and in working order before you need to turn on the heat is an important safety measure. And be sure to add a chimney cap if you don’t already have one — it will stop critters from crawling down your chimney! 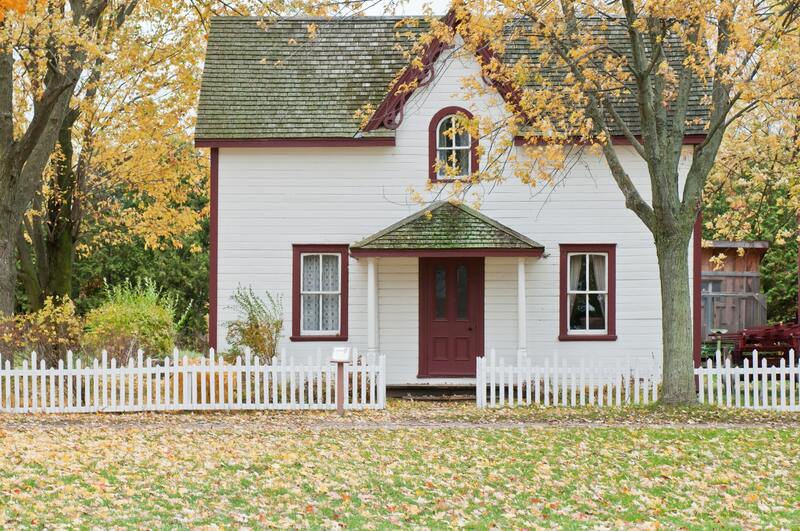 Fall Home Maintenance tips numbers 1-10 we're originally written and posted by Forbes.com. Click here to read the full article. Want more home care tips and tricks? Sign-up for our newsletter, where we'll send you articles like this, design tips, real estate news – and all the awesomeness!